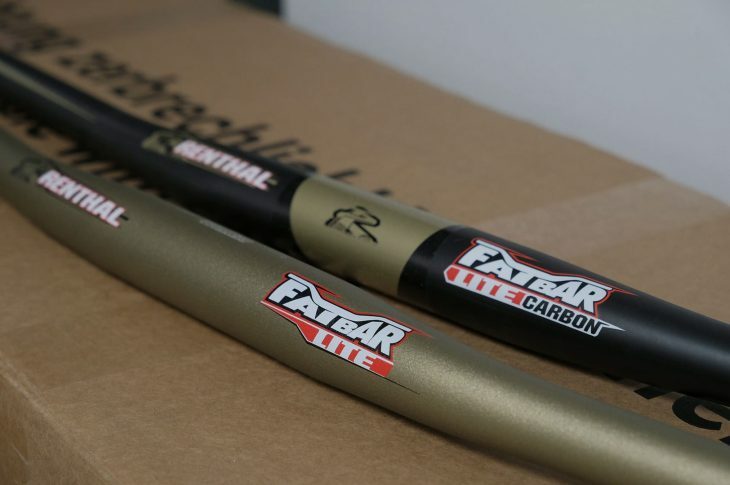 Amazingly not available until now, Renthal’s Fatbar Lite and Fatbar Lite Carbon now come in zero-rise options. 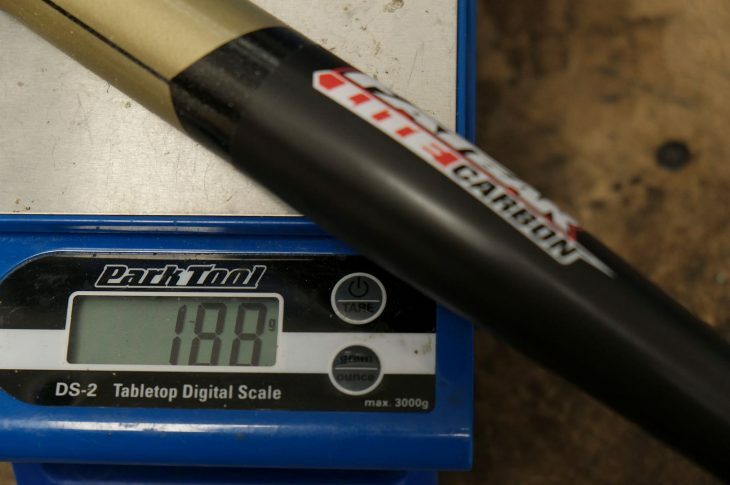 And 2g lighter than claimed. Nice! 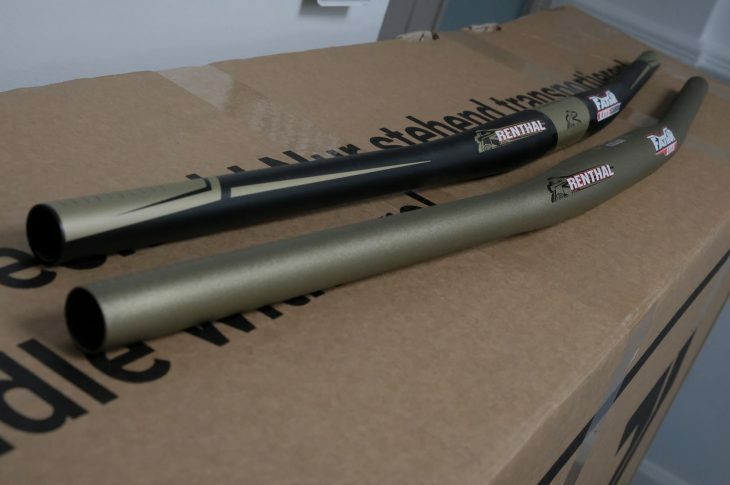 Confusingly, the gold alloy bar also comes in black. In theory, the carbon bar only comes in black. And, refreshingly both our sample bars have come in just under their quoted weights (but not worryingly so). Even in black, it’s an iconic look. “Shares the same great flex characteristics, strength and durability” as the Fatbar Lite Carbon. And for more aggressive or cost-conscious riders, the Fatbar Lite Zero (which sounds a bit like a slimming drink). 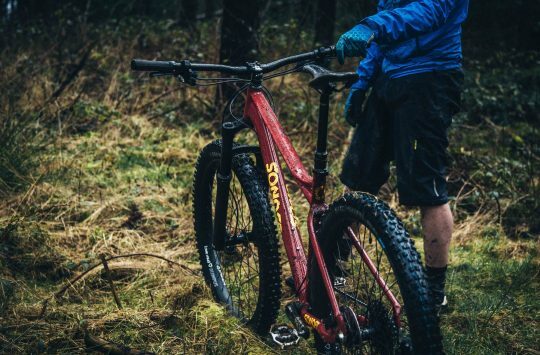 780mm is a healthy width for any purpose. Both bars are trimmable. 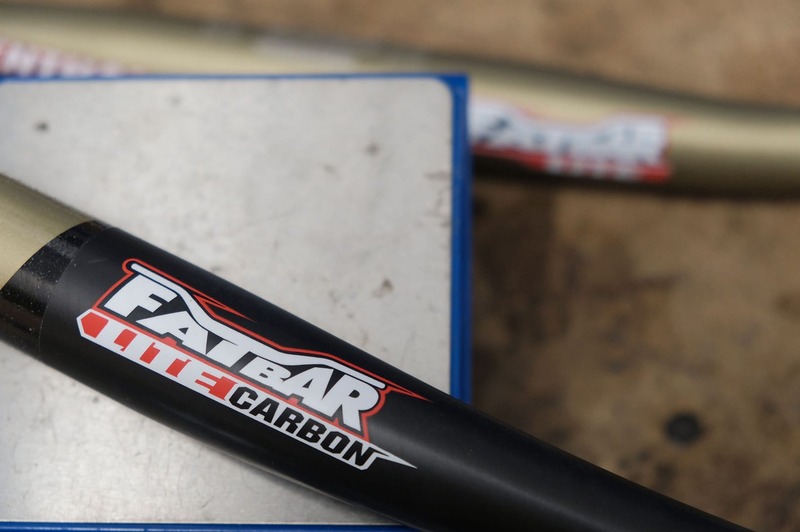 “Shares the same great flex characteristics, strength and durability” as the Fatbar Lite. 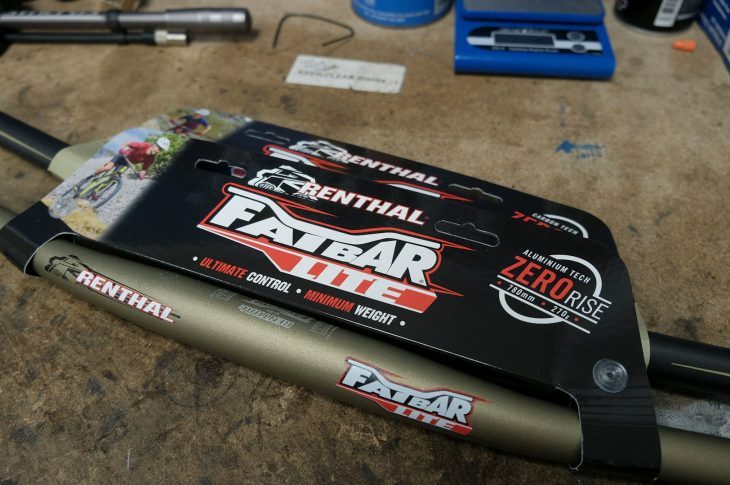 I think they missed a trick there by not naming and labelling as the Renthal ‘Flatbar’. 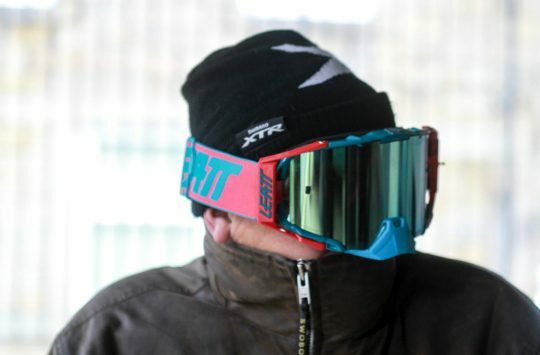 at last I have been waiting for these. 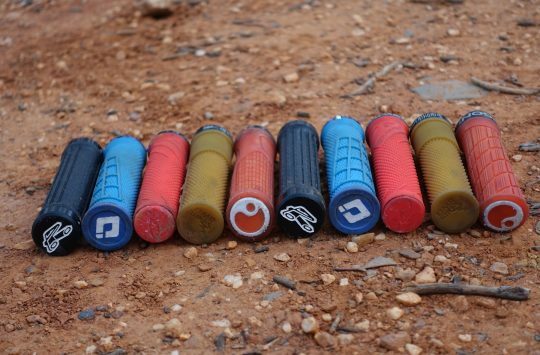 USE Ultimate RIP ALU flat bar is underrated and great value too for XC/Trail..